I've been looking at Swiss timepieces for a long time but divers and sports are not really my thing. Then I stumbled upon the Orient and Junghans. The Orient is hard to find but it's value for money is really good. My favourite is the Bambino V2 cream dial with blue hands and V3. I love the sunburst grey dial on the v3 but it's harder than usual to find now. The junghans meanwhile is just too expensive for the amount. With no sapphire, it put me off for some time. Then after a bit of researching I found some SARBs. I'm totally in love with the cathedral dial and lume from the Seiko Alpinist SARB017. Have ordered it online and it's stuck in customs now. Hoping to get it out on Monday. Now, after getting the SARB017, my hands are itchy for the SARB065 cocktail time for... "the awesome sunburst dial". I think I'm a sucker for sunburst dials. However, my grail watch is the Junghans Meister Telemeter for it's classic classic look. Again, the glass is putting me off but since it'll be more of my dress collection and for more formal events, I wouldn't mind it that much since I'm soooo in love with it. The question now is should I get the SARB065 or save it for the Meister Telemeter? I'm planning to get the SARB065 for my wedding day but maybe I could skip it and save it for the Meister Telemeter later. Also what do you guys think of the Tissot Chronometer Heritage 150th? That is a hard question to me. You can and should go view both watches as pictures do not tell the full story. When I see the Junghans, I don't really connected with it as much as I connected with my Cocktail Time. If only I could find a place to view the cocktail time. Will take better pictures and put my thoughts on it after I get my leather NATO Strap. Nice, I own both alphinist and cocktail time.. Both does very different things enough for me to find wrist time for both. Just got a new watch and immediately went to the nearby watch shop in my area to find a bracelet. Found one. Got it cheap for around USD10. Not exactly a perfect fit but I doubt anyone who knows me would know much about watches to actually notice the difference. However, have since taken it down because I find these bracelets to scratch the watch quite a lot and it might not annoy some but it annoys the hell out of me. I've already had a few. Maybe in a few more years down the road when I'm more comfortable with scratching this watch. Both beautiful. Losing a bit of interest in the 065 as time goes by though. Still, that dial! Yeah.. It's really something special. SARB065 is a beautiful piece in its own right. The question would be how much of a rotation it would get on your wrist assuming you have multiple watches. It is not a dress watch, nor it is a daily office watch either. The problem I had with it was rotating it with my other watches. Another watch always wins the occasion, and my 065 is left in my watch case most of the time. Even though it is one of my more beautiful watch. I just placed an order to the online dealer, and it's on the way me. It's selling fast, in less than 24hrs after the dealer notification reached me. It was totally sold out again. Yes, again. 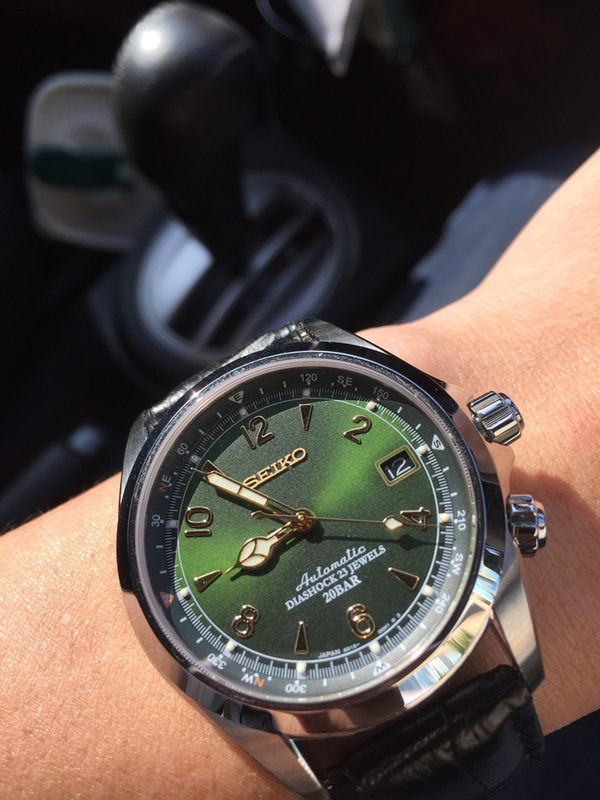 By the way, I have a SARB065 and it gets so many remarks that when people asking, I have to it again and again that " it's Seiko , it's made in Japan, yes it's not Swiss.."...etc. Agreed. 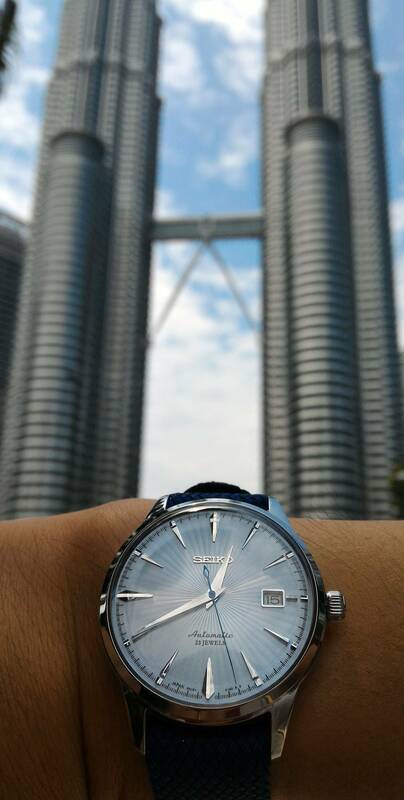 My SARB065 is also left alone most of the time. How much did you pay for it, of you don't mind me asking ?